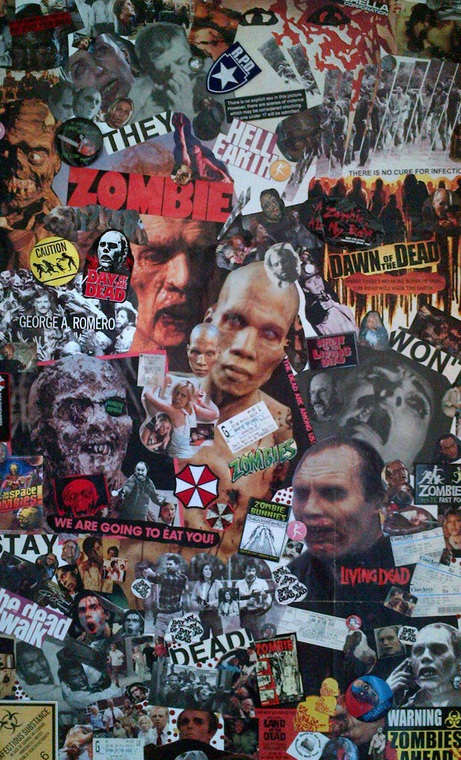 Originated with klugulablog on April 10, 2005, the series "CONCERNS ABOUT THE LIVING DEAD" was meant to encompass real-life issues and scenarios for the pending zombie invasion, thoughts about Romero and Romero-inspired films, and various anecdotes about zombie screenwriting. ALL of which are valid CONCERNS, don't you agree? And they're all now here in one place, for your ease and pleasure! collage artwork by Michael Klug.